Relaxing in the sun just got a lot more comfy. This air lounger allows you to set up anywhere with ease in record time. No pumps or heavy equipment needed, just your hands and air collecting from where ever you are. 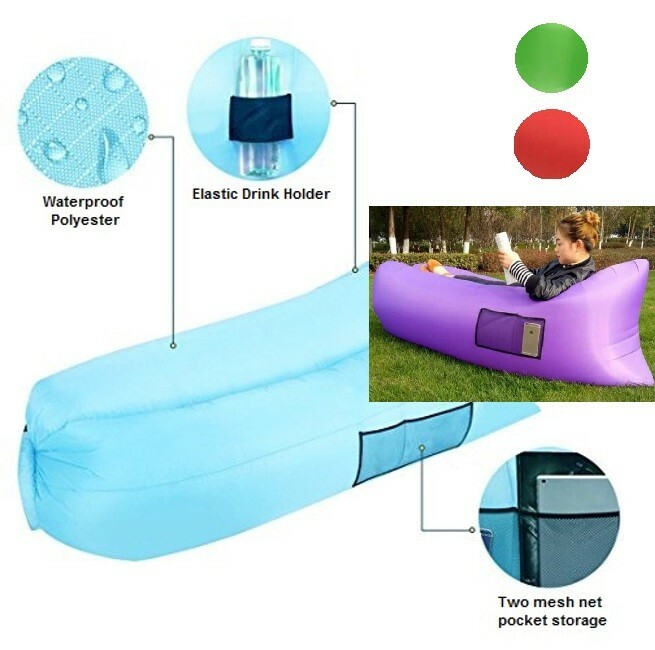 Comes with an elastic bottle holder on one side and two storage pouches on the other side to keep your book and other handy items close by while sun bathing. When you're done, simply fold away and store in the included carry case. Holds up to 150KG of weight. Made from strong waterproof polyester.